This is a must read for anyone who is thinking about going into the service of an EMT/Paramedic or firefighter. As I read this book I was reminded of one of my best friends and former co-workers at school. Before becoming a tech person in our school district, he had retired from the Chicago Fire Department. My husband had been a firefighter way before we married. When these two would get together they would start talking about "the good old days of fire fighting". I noticed a major difference in their stories. When it was just me with them I got a watered down version of the incident. When the two of them got together and I sat and listened they talked about things like waiting for the police to show up before they were allowed in because the site had to be secured. They would talk in gruesome detail about the things they had seen and the smelled. These were things they could never forget that changed them in some way. If you talk to most fire fighters you get the basic details from them and nothing more. Reading this book was like sitting down with my husband and Ron. Chief Ludwig laid everything out bare. You heard the good, the bad, and the ugly. You heard of the triumphs and the rewards of a profession that most people didn't think about until after 9/11. I have never ever wanted to be a fire fighter. I have a terrible fear of fire that goes back to several incidents on our farm. One was growing up and trying to put out a grass fire that occurred when wind blew trash out and caught a field on fire. I remember using wet gunny sacks to beat back the flames until the fire department finally got out to our farm. I remember the pain of trying to peel off nylon socks that had gotten so hot they had started to melt to my legs. The second incident occurred while we were at church. My uncle actually interrupted the Wednesday service to tell us our farm was on fire. An arsonist had set the barn on fire that caught several other buildings on fire. I remember sitting on the roof of the house all night watching, afraid the fire would spread. I remember the kind words of the firemen telling us it would be okay and that they would come back the next day to check for hot spots. 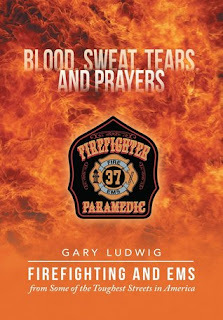 As Chief Ludwig demonstrated in his book, firefighting goes way beyond putting out a fire or rescuing someone. It takes your complete mind, body and soul and leaves its on scars and imprints upon it. If can be a very heart wrenching job and at the same time a very fulfilling job. Read this book so that you can have a greater appreciation for those men and women who put their lives on the line daily. I definitely recommend this book. 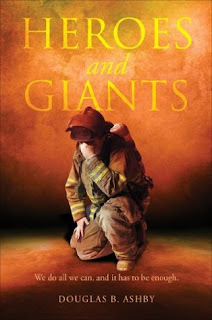 This book gives us another look at the profession of a fire fighter. We see once again the toll it takes on the physical, mental and spiritual well being of that person. This book also gave us a look at the type of person best suited for this job as well as the type of person best suited to be their spouse. The pressure and sights forced upon these men and women is tremendous. They often withdraw into themselves. A spouse needs to know that there will be times when they just want quite solitude to process what they have had to deal with that day. There will be times when they need to just sit and cry or talk. This is not a job for every one. These people must be dedicated. Their experiences also help shape the way that they deal with their family. They are often overly protective. This is because sometimes the things they see are so terrible that they want to hug their family and thank God for what they have at home. They have to learn how to balance their work and their home life and not let one intrude upon the other. Once again I would recommend this to anyone who is considering going into this field. I would also recommend this to those who are just curious about what goes on in the life of a fire fighter.